“I love how quickly his heart healed. He will never forget that I saved his life." The dog was desperate to get out of the cage — so desperate, he’d stuck his head through the metal bars and gotten stuck. But thankfully, it wasn’t long before someone helped him. 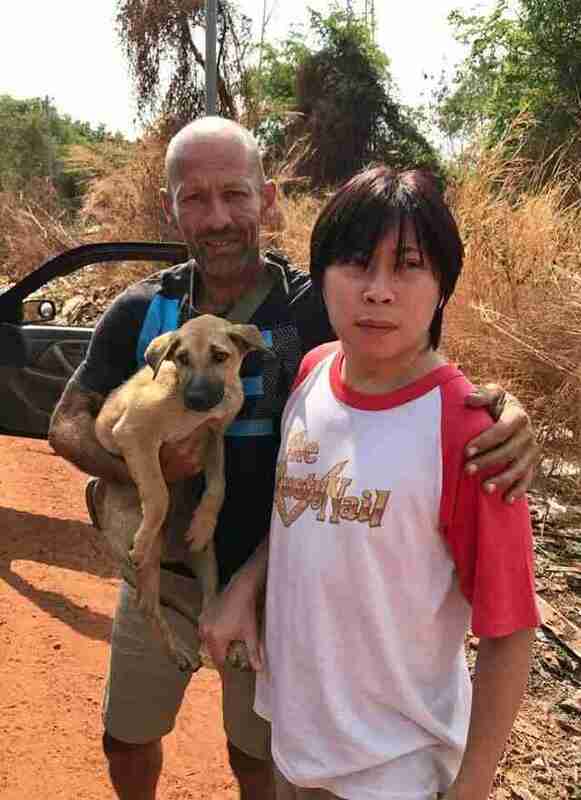 This past April, Michael Chour, a man who’s been rescuing dogs in Southeast Asia for the last 13 years, visited a dog meat restaurant in Cambodia to see if he could talk the owner into closing down his business. Outside of the restaurant, Chour found a metal cage with three terrified dogs cowering inside of it. But it was Lucky, a 4-month-old puppy, who caught Chour’s eye. But Lucky wasn’t out of danger. Eventually, he and the other dogs would be slaughtered for their meat and served at the restaurant. Not only that, but the dogs probably knew what was going to happen, according to Chour. “They hear the screams from others being tortured and slaughtered,” he said. Chour didn’t want to buy Lucky and the other dogs as that would support the dog meat restaurant, and enable the owner to buy more dogs. But he talked to the owner, and the owner agreed to surrender Lucky to Chour — although the owner refused to let go of the others. When the owner handed Lucky to Chour, the puppy was terrified. But Lucky quickly figured out that Chour wasn’t going to hurt him. While Chour was happy to have rescued Lucky, it was hard for him to leave the other dogs behind. 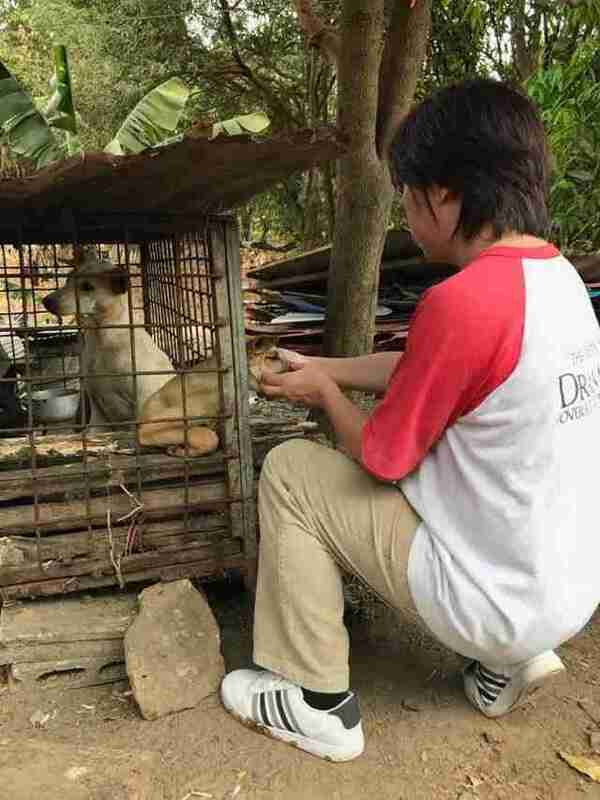 Chour has continued to communicate with the owner of the dog meat restaurant to see if he’ll close his business. While the restaurant currently remains open, Chour hopes to find alternative employment for the owner so no more dogs will be killed there. 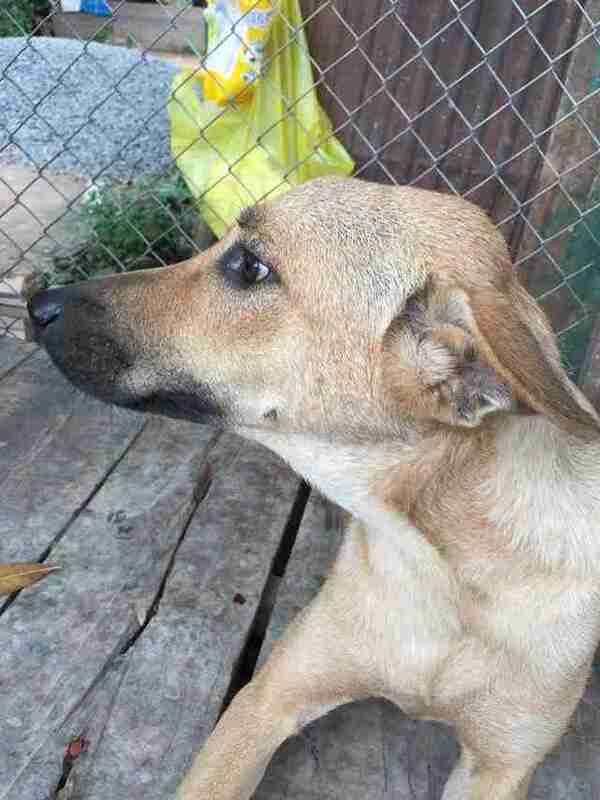 Chour has also managed to rescue seven more dogs from the restaurant since then, and placed them in foster care. 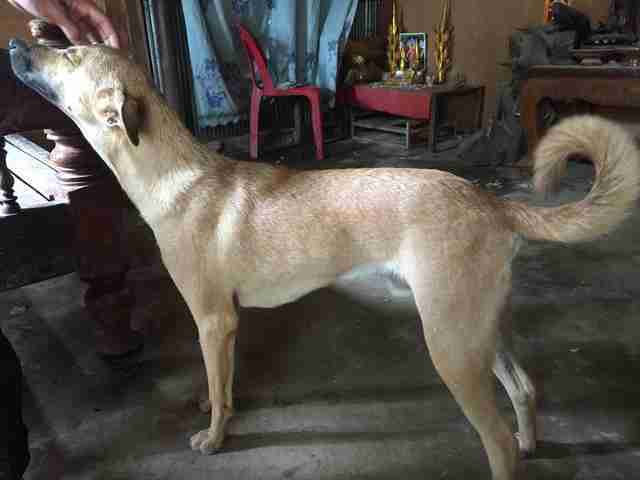 As for Lucky, he’s enjoying life at a dog shelter in Cambodia, where he’ll live until Chour opens up his own facility in Thailand. 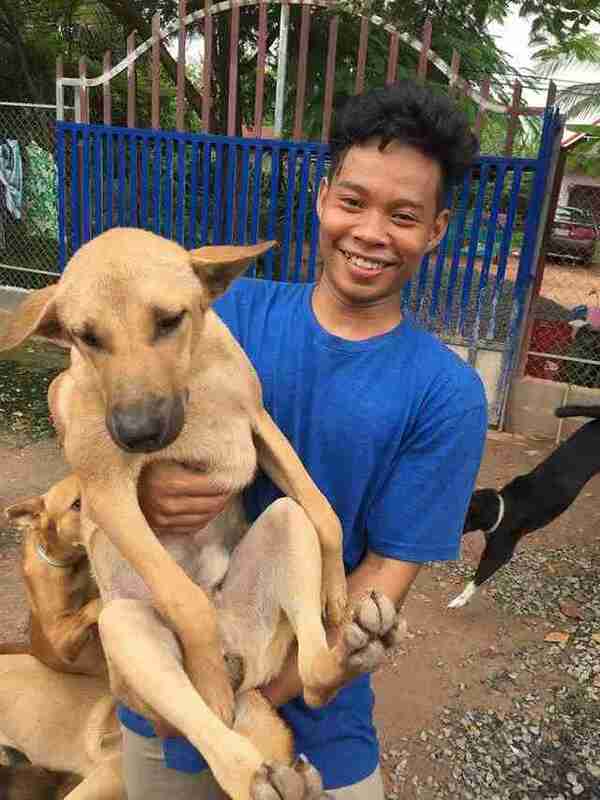 To help save more dogs from meat restaurants in Southeast Asia, you can make a donation to Chour’s rescue mission. You can also follow Chour’s rescue work on his Facebook page, The Sound of Animals.